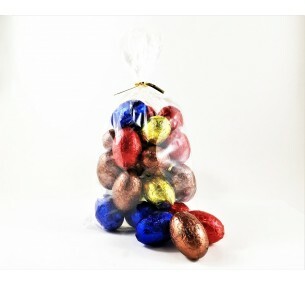 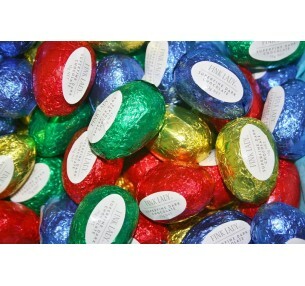 The Dark Chocolate Egg Bag will be big hit with discerning chocolate lovers this Easter. 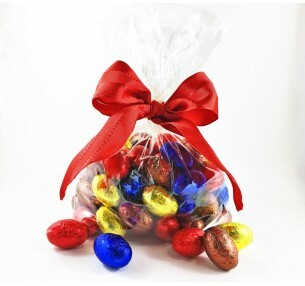 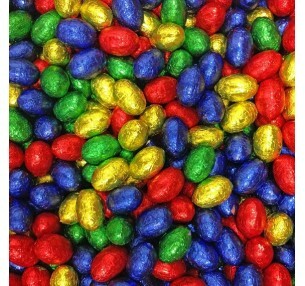 The bag is filled with ten 15g hollow eggs, plus 100g of solid mini eggs made from rich dark chocolate. 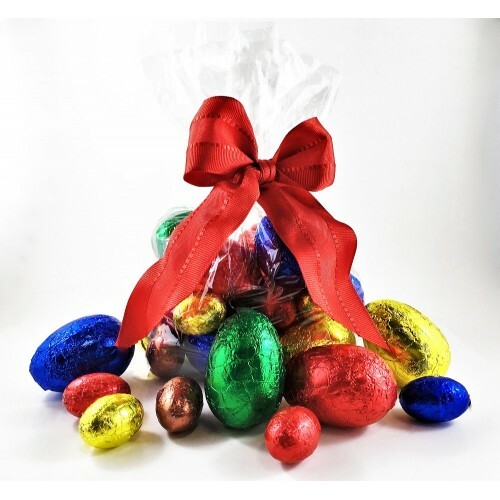 Finished with a showy red bow, it's ready to give at a moment's notice.